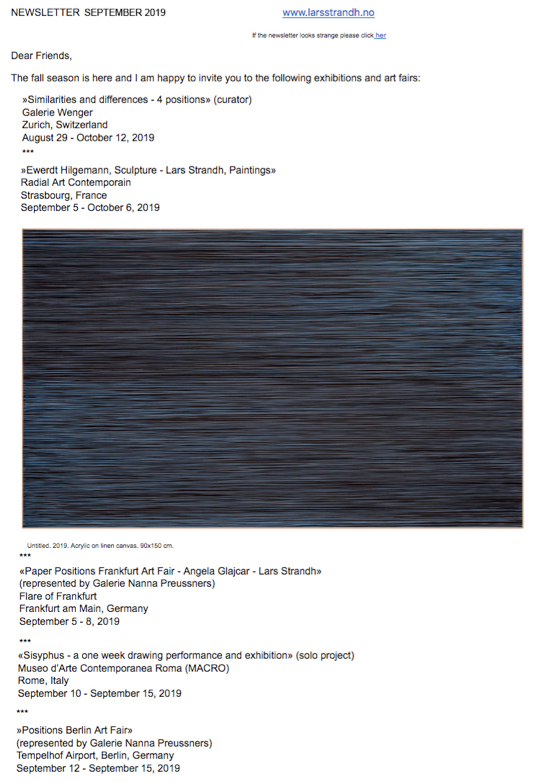 This page is a blackboard mix of news and things that is happening and has happened. 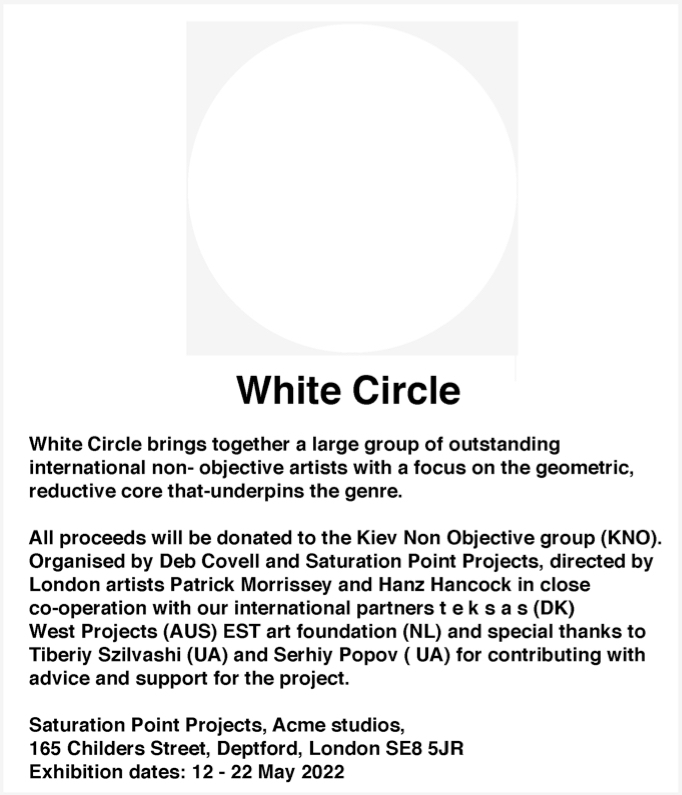 It is an «on - off» project and will not include everything I’m doing or everywhere I’m going. 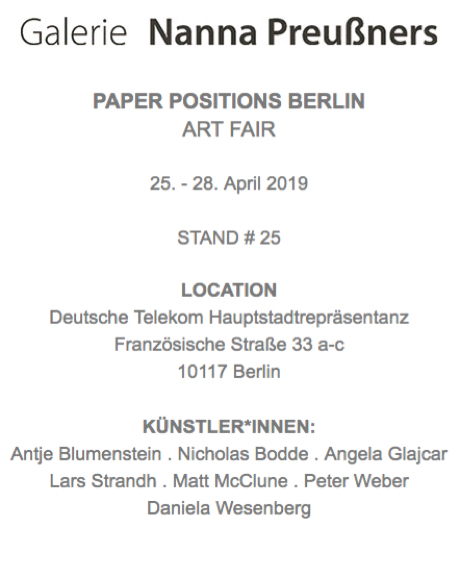 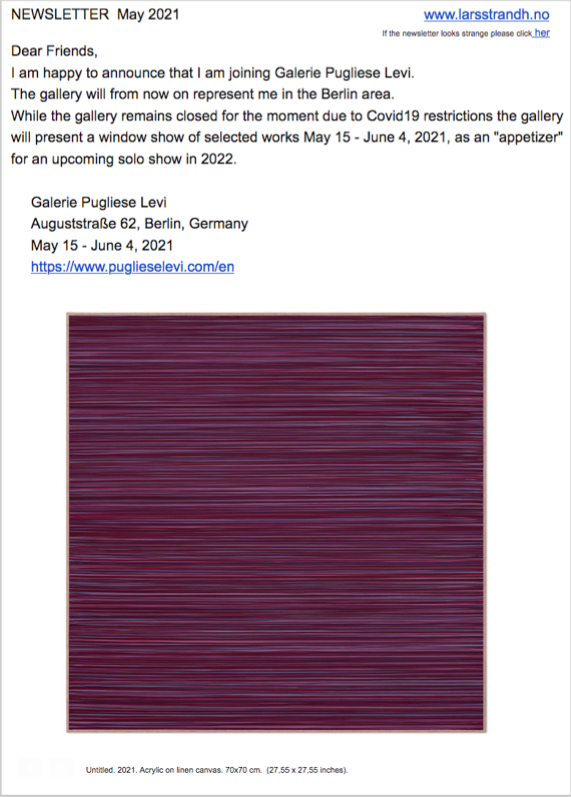 I am happy to announce that Galerie Nanna Preußners, Hamburg, from now on represents me in the Hamburger area, Germany. 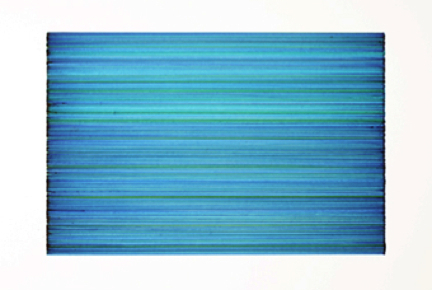 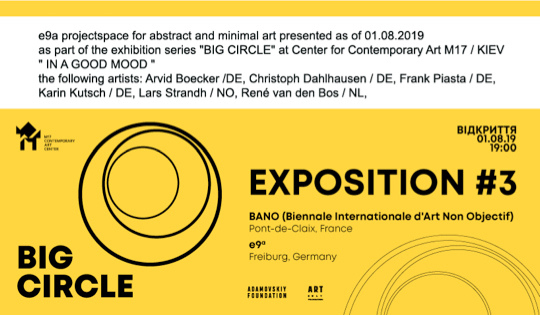 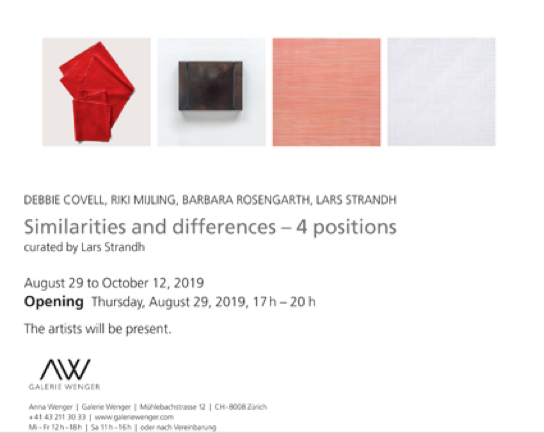 New show in Freiburg, Germany, with works based on water colors in extended sense. 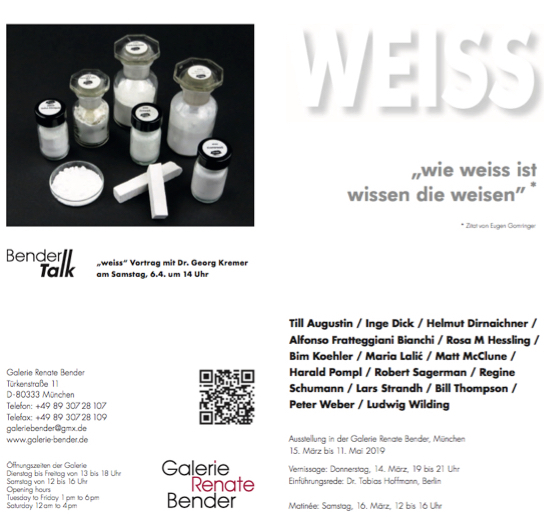 Peter Weber and Ludwig Wilding dedicated to the topic «Balck and White». 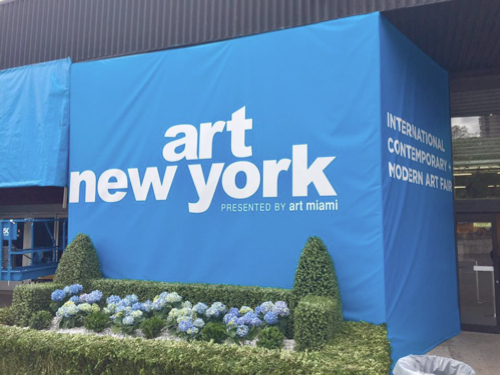 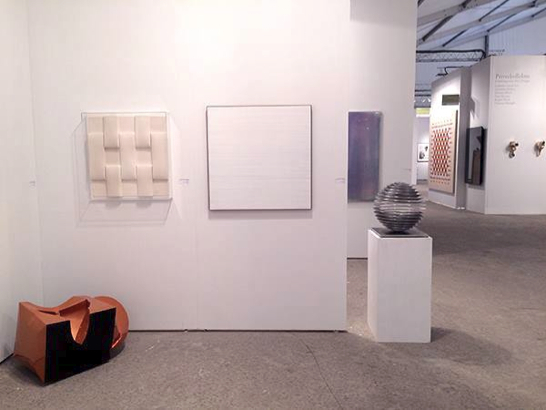 Art New York with Galerie Renate Bender. 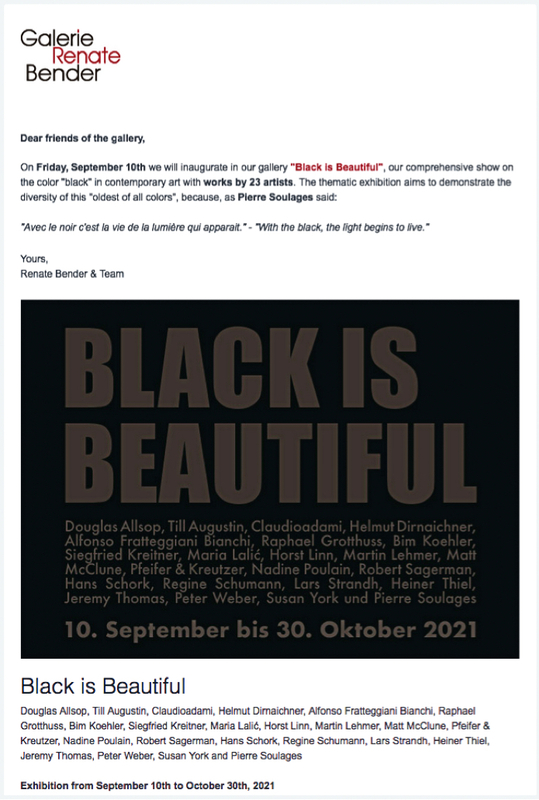 "Kinder, wie die Zeit vergeht!" 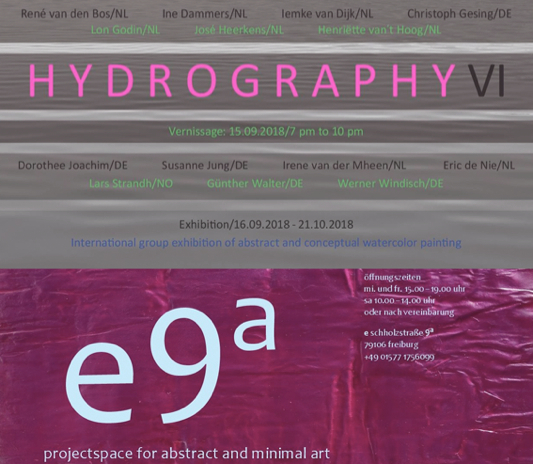 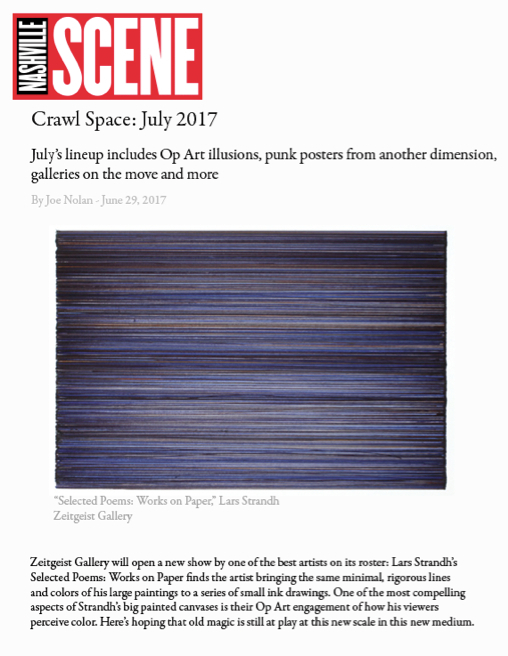 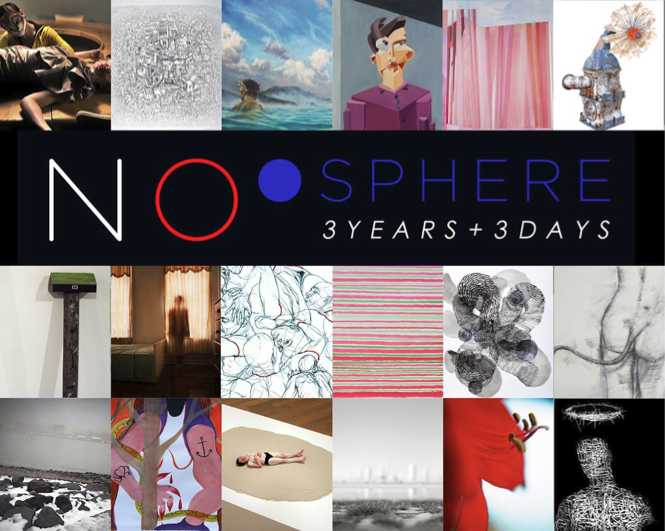 Joan Hernández Pijuan, Marco Stanke, Lars Strandh, Victor Vasarely, Andrea Vizzini, Peter Weber, Susan York and others. 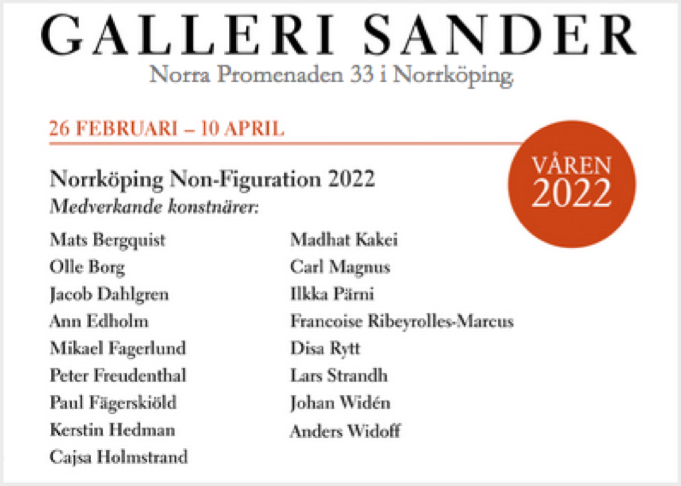 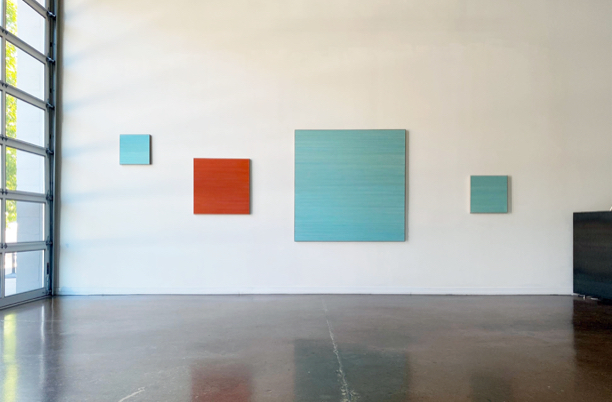 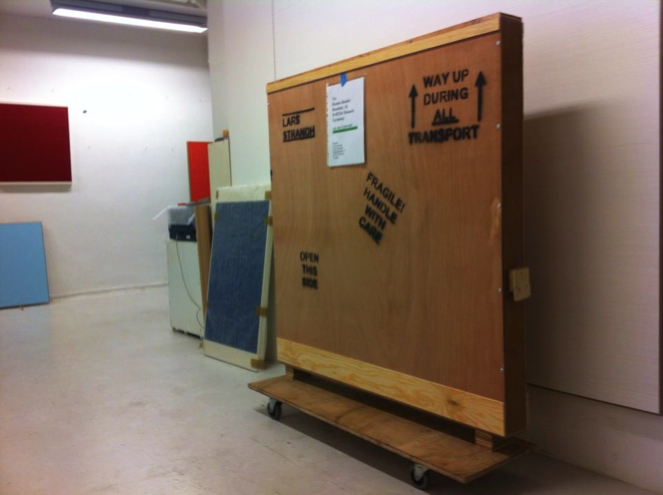 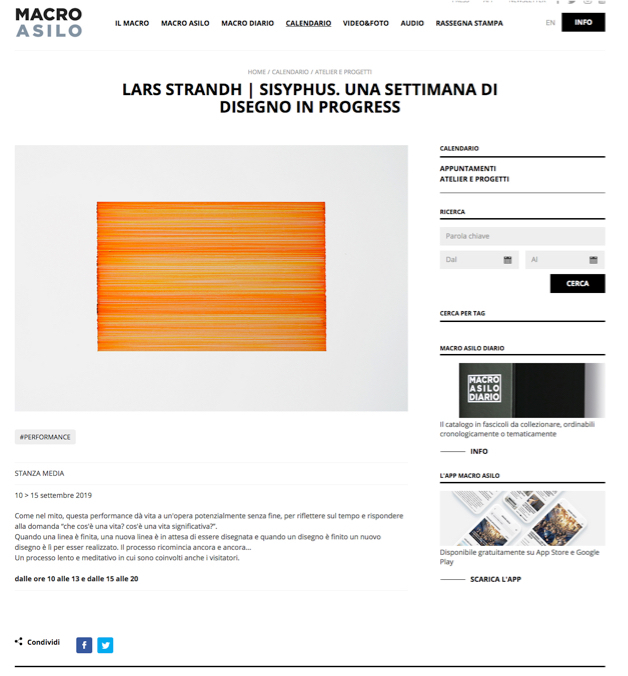 I’m happy the University of Oslo Art Collection, Norway, has acquired a triptych for their collection. 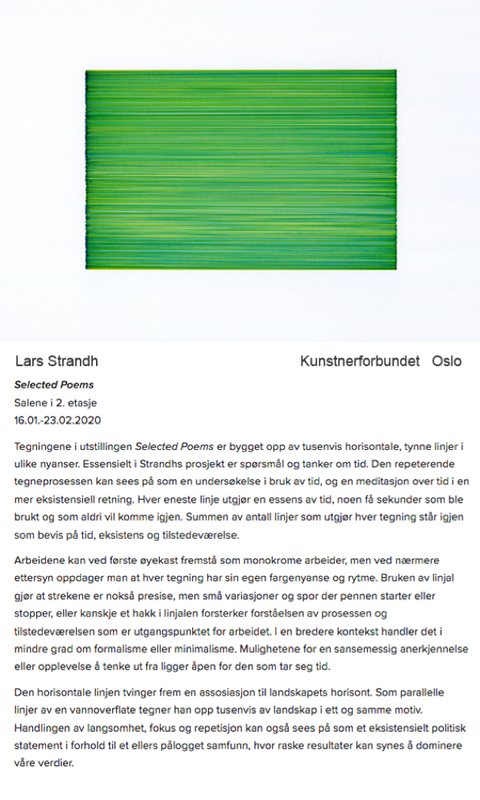 The collection include works from Norwegian and international artists such as Edvard Munch, Gustav Vigeland, Olav Christopher Jenssen, Magdalena Abakanowic, Naum Gabo, Candida Höfer and many more. 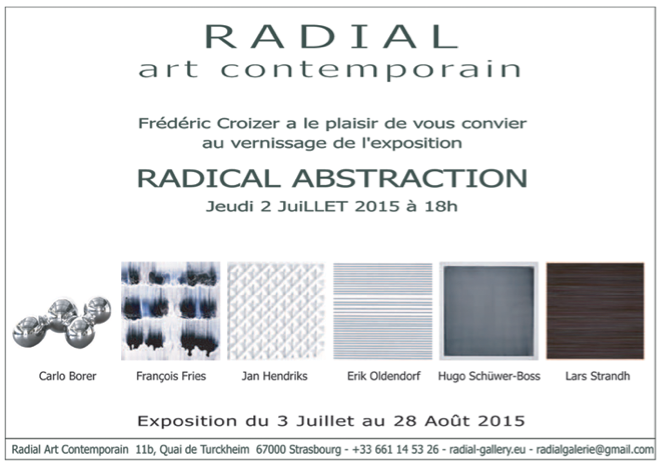 If you’re visiting Strasbourg this summer!! 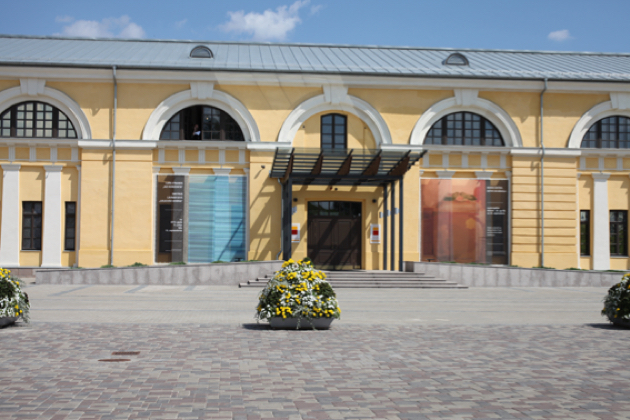 Happy to be acquired for the second time of Värnamo Municipality Arts Committee, Sweden. 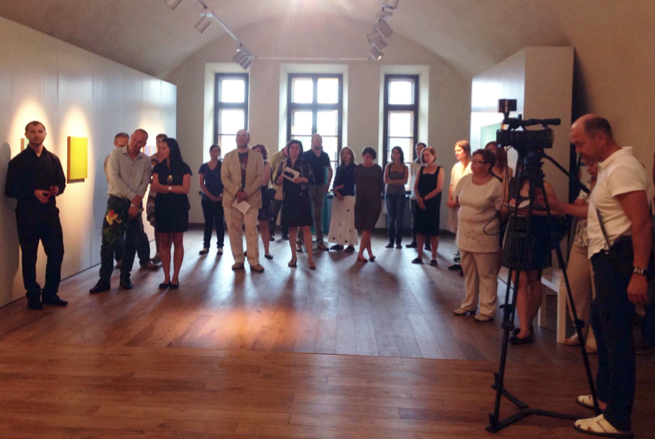 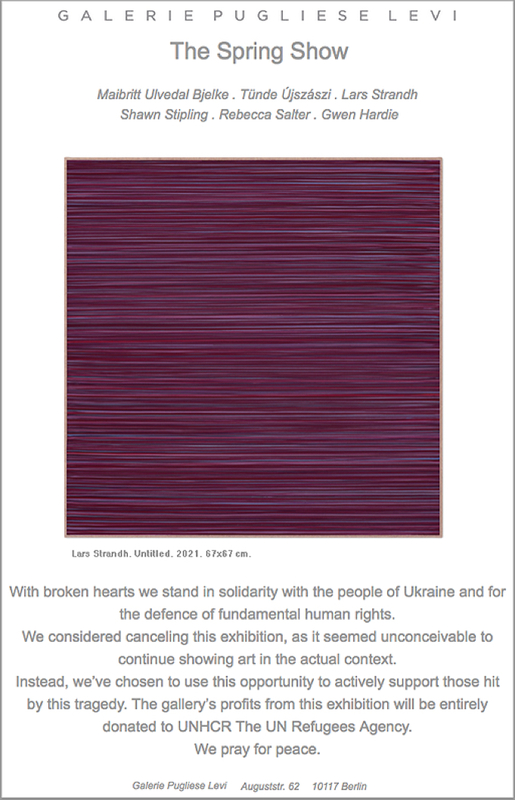 From the opening of «Behind the Horizon», February 19 at The Museum of Modern Fine Art, Minsk. 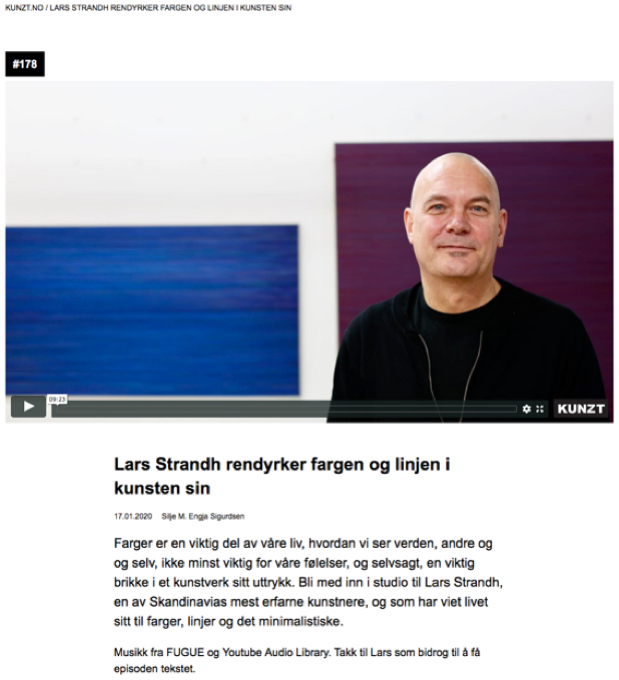 I am happy 5 paintings are acquired by The Telenor Art Collection, Norway. 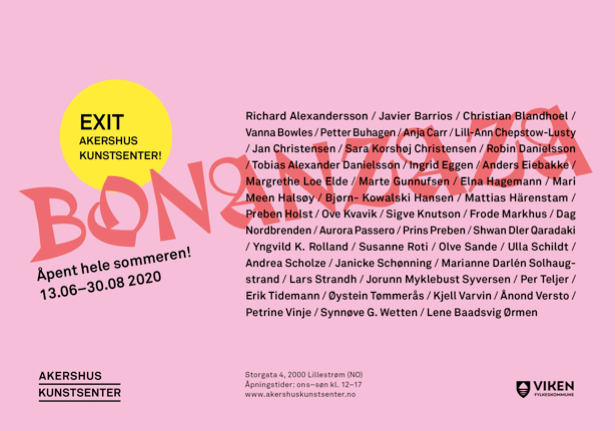 The collection include works by Daniel Buren, Liam Gillick, Diane Arbus, William Eggleston, Peter Halley, Jenny Holtzer and many great Scandinavian artists. 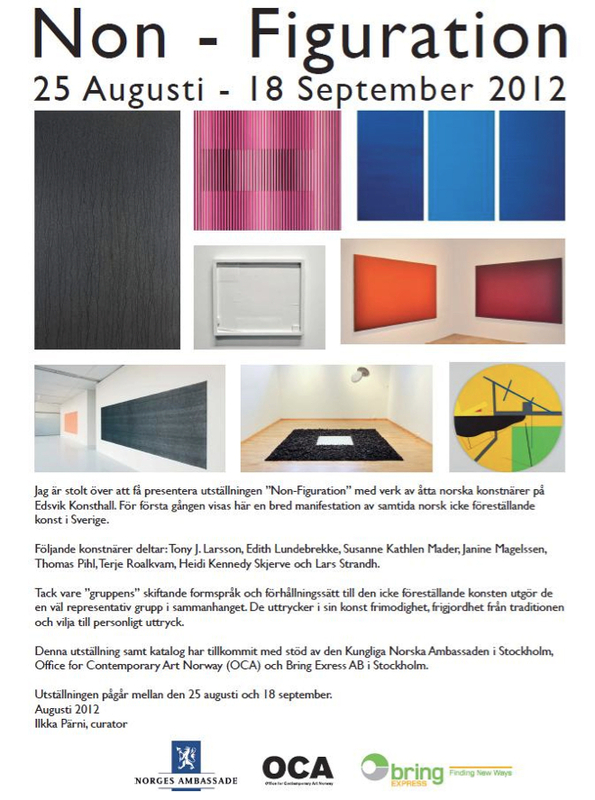 Very happy to receive the «Blom grant» from Kunstnerforeningen (The Artist Association) at yesterday’s Christmas Ball. 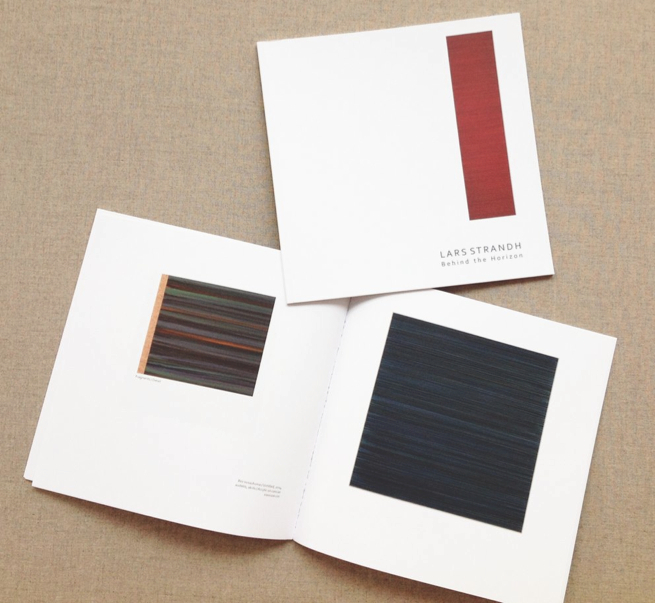 Proud to announce that this three of my catalogues are now represented at the Thomas J. Watson Library of the Metropolitan Museum of Art, New York. 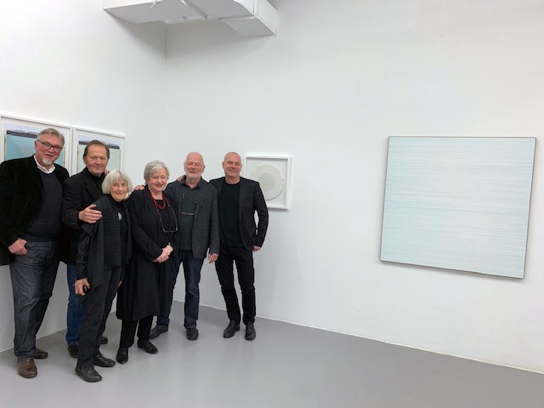 A great thanks to NoOSPERE Arts and the Norwegian artist Sol Kjøk, New York! 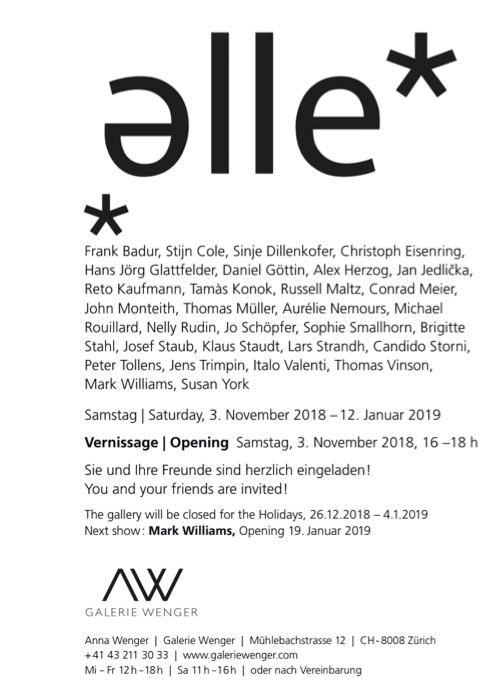 Invitation to the group show at KUNSTHAUS Fürstenfeldbruck has arrived in the post. 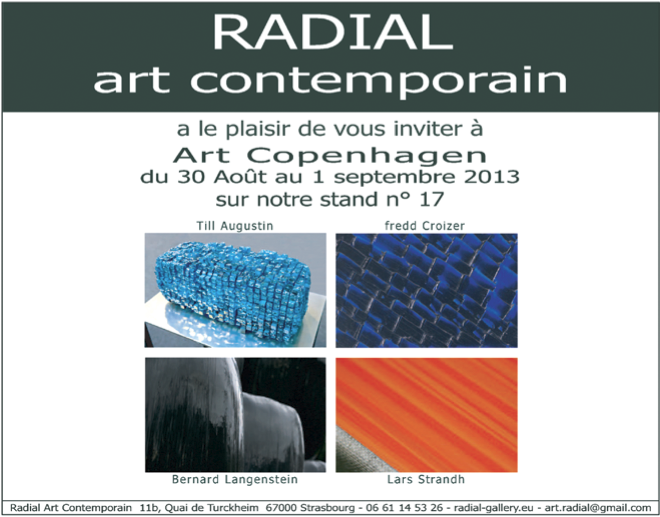 Opening October 2 at 19.00. 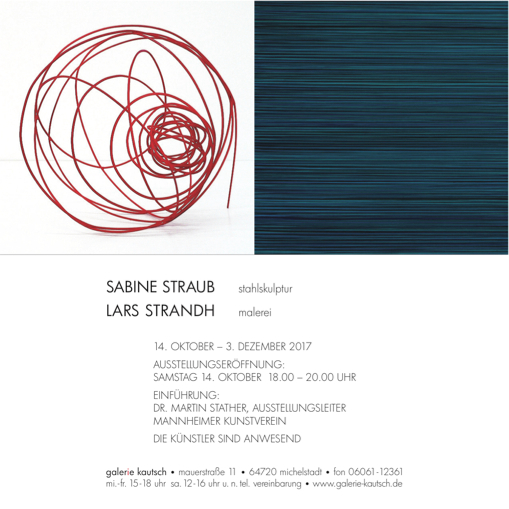 And it is also October Festival in Munich! 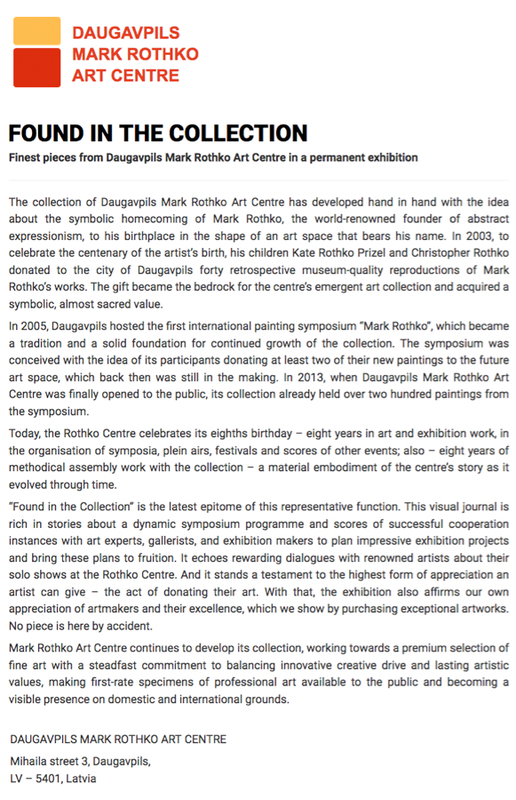 New catalogue available from Mark Rothko Art Center, Duagavpils, Latvia. 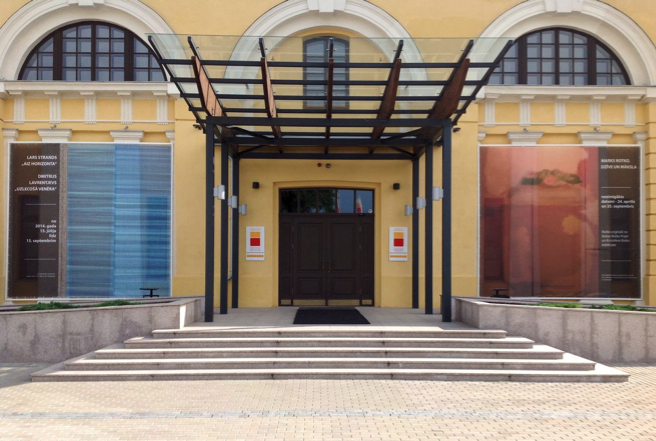 Quite honored to get a 5x5 meters billboard in same size as the one for Mark Rothko at Daugavpils Mark Rothko Art Centre, Latvia. 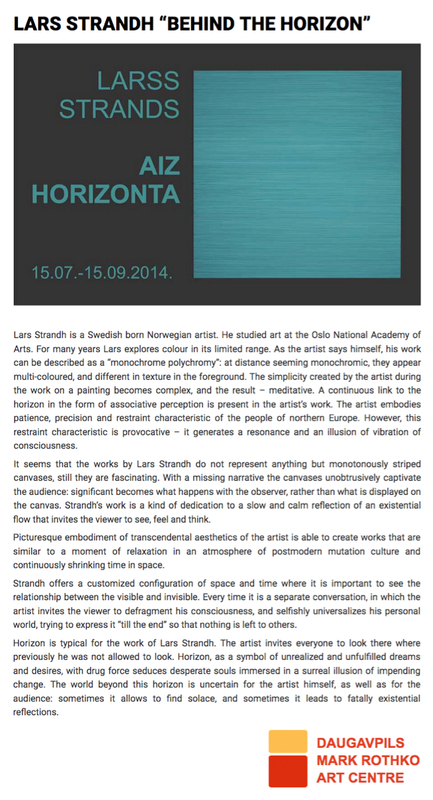 The exhibition «Behind the horizon» opens tomorrow and will be on show until 15 September. 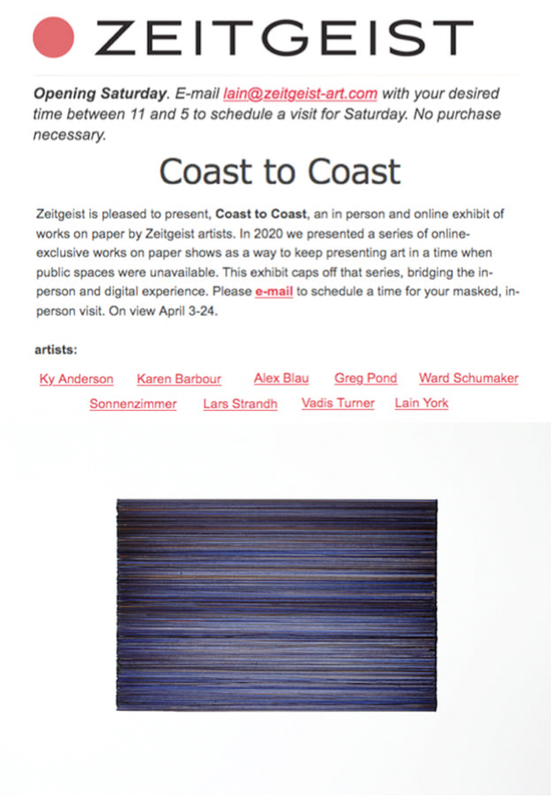 The museum bought this piece on my solo show there in 2008. 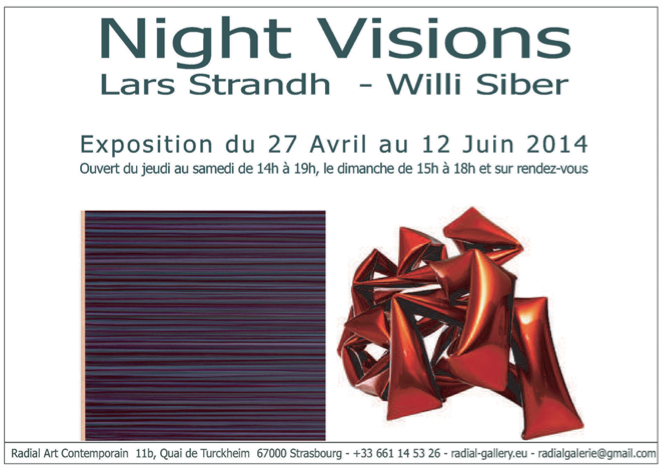 You are all welcome to Strasbourg! 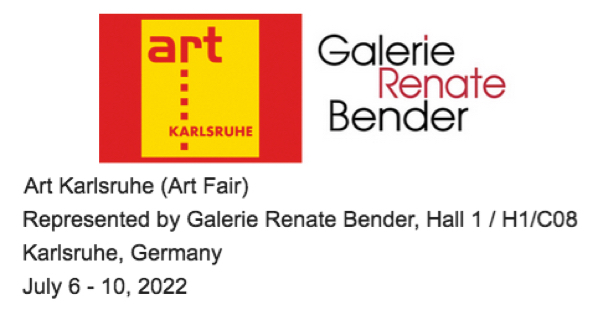 Please visit Galerie Renate Bender if you’re in or around Karlsruhe! 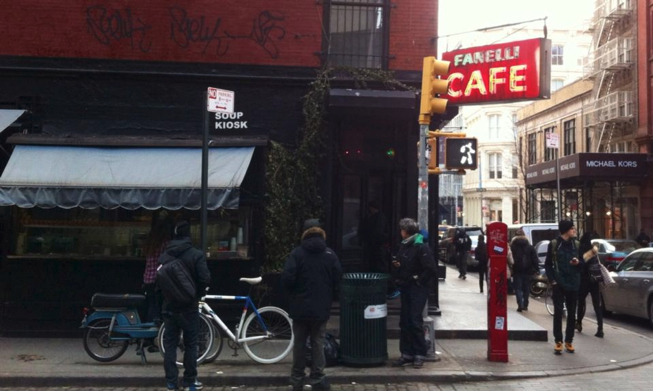 Today I reminded the legendary Andy Warhol's star Bridget Berlin about her cane that she forgot at the bar after a large Whiskey, straight up, at Fanelli Cafe in SOHO! 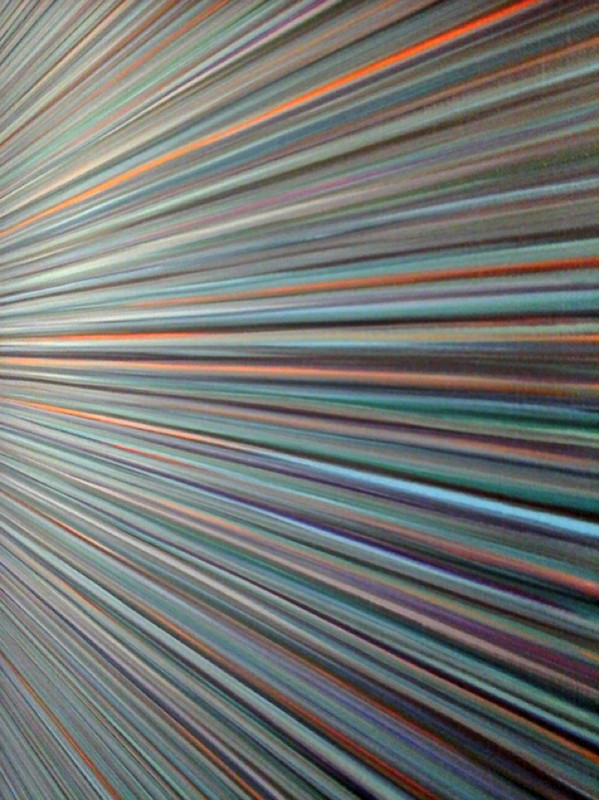 Memory! 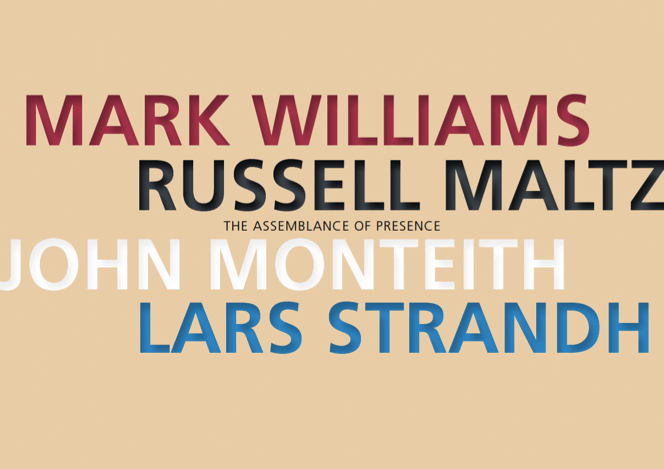 So Nashville, here we come. 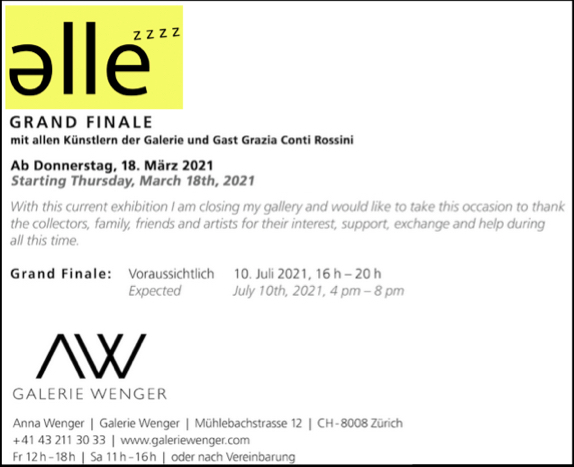 Will be great and after I will also stay a week in New York City. 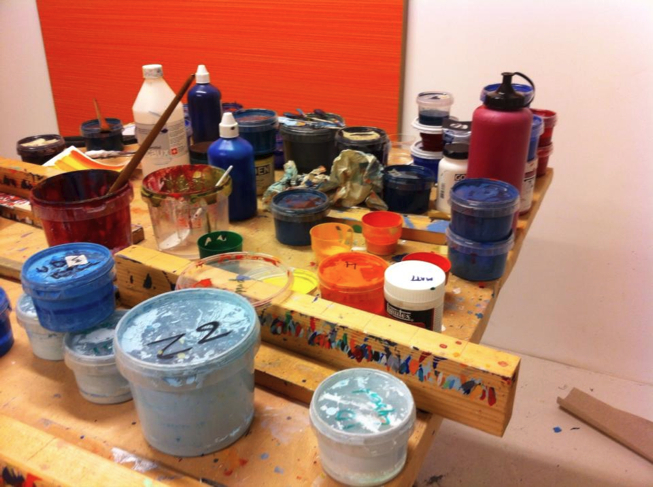 Building crates and packing in my studio but all I want to do is paint. 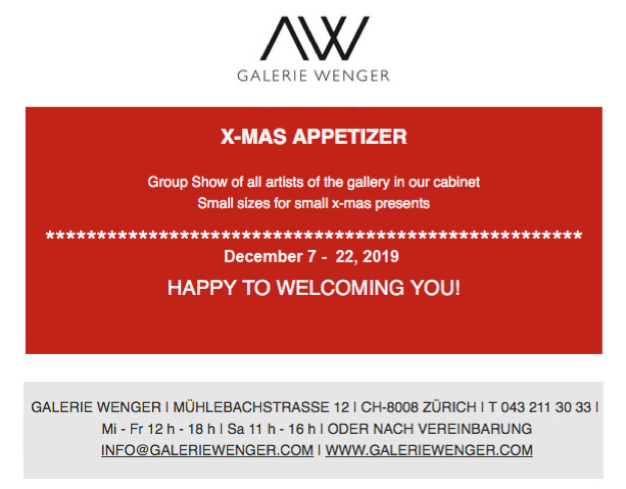 Early start on the new year! 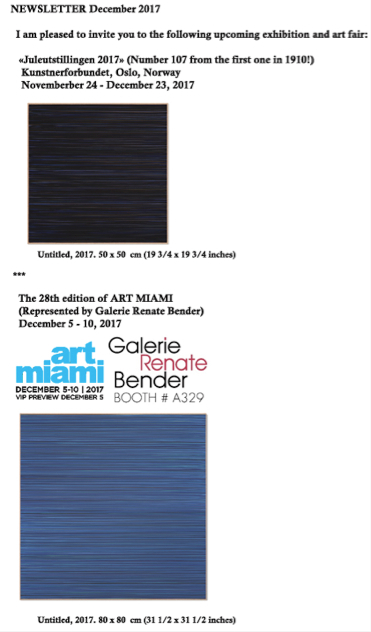 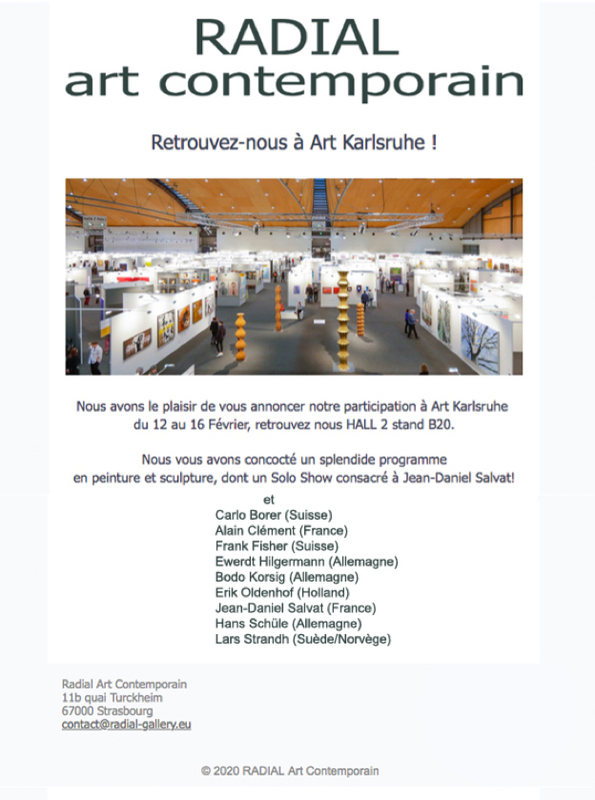 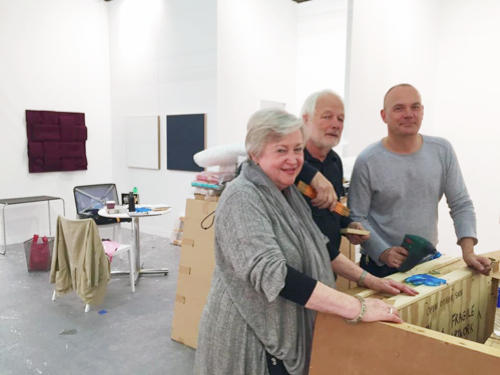 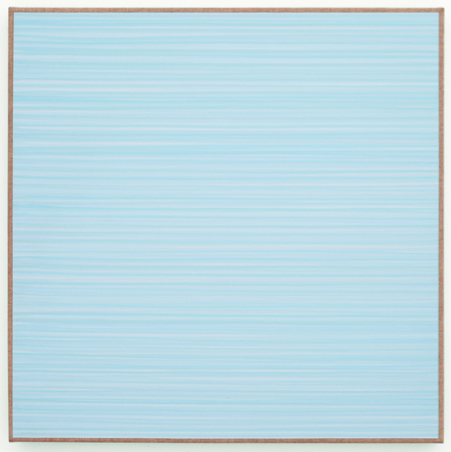 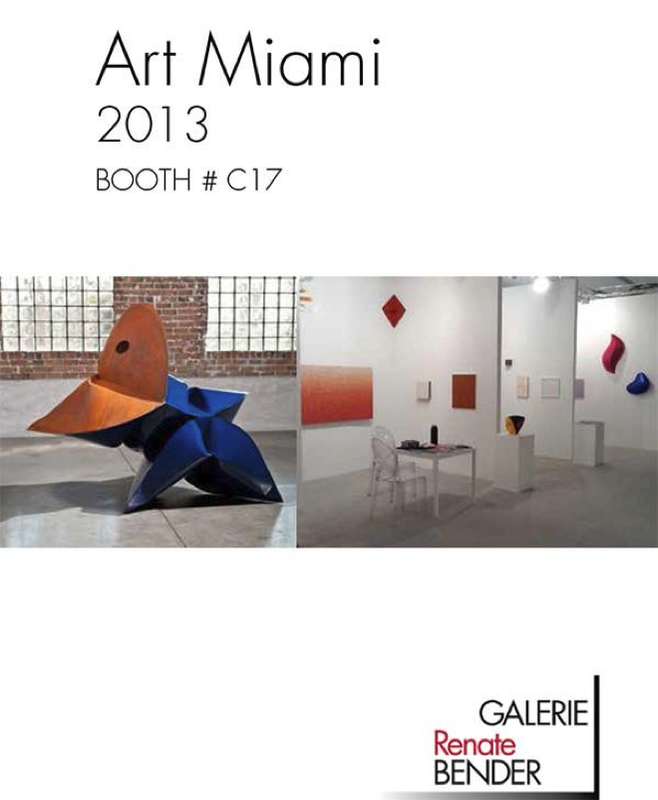 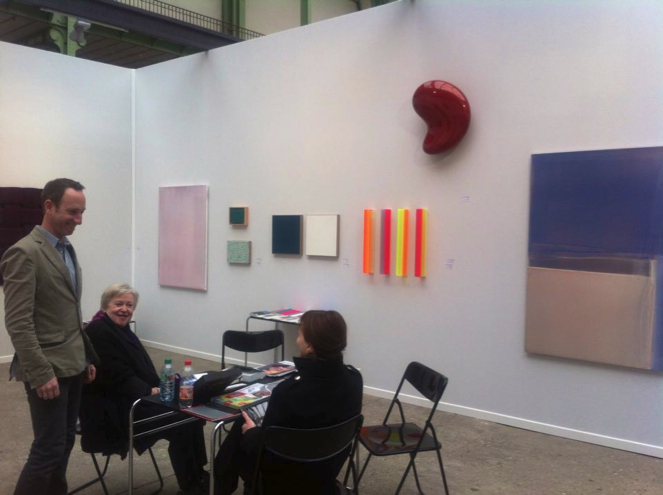 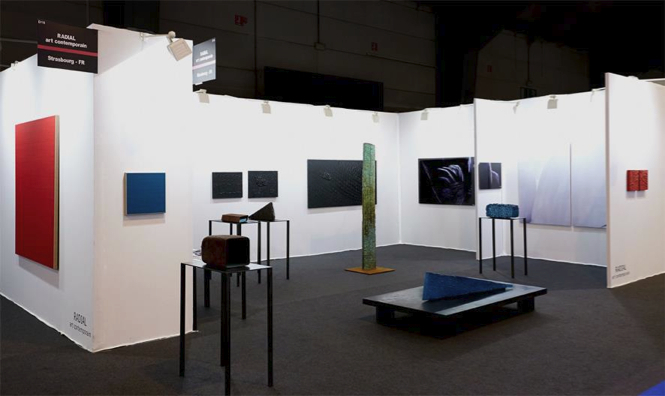 Galerie Renate Bender at the art fair Art Paris, Grand Palais 2013 – with Matt McClune, Renate Bender og Kathi Schwi. 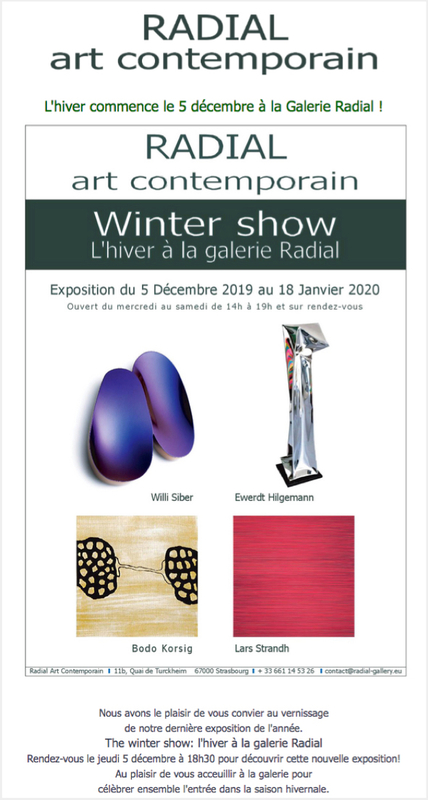 On my way into the Grand Palais I stopped an extra minute and gave a thought to all the great artists that have exhibited here during the years. 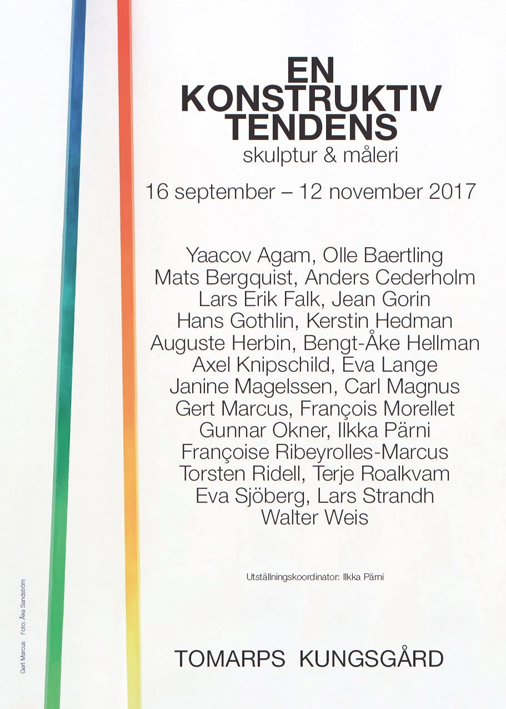 This show is just outside Stockholm city, Sweden. 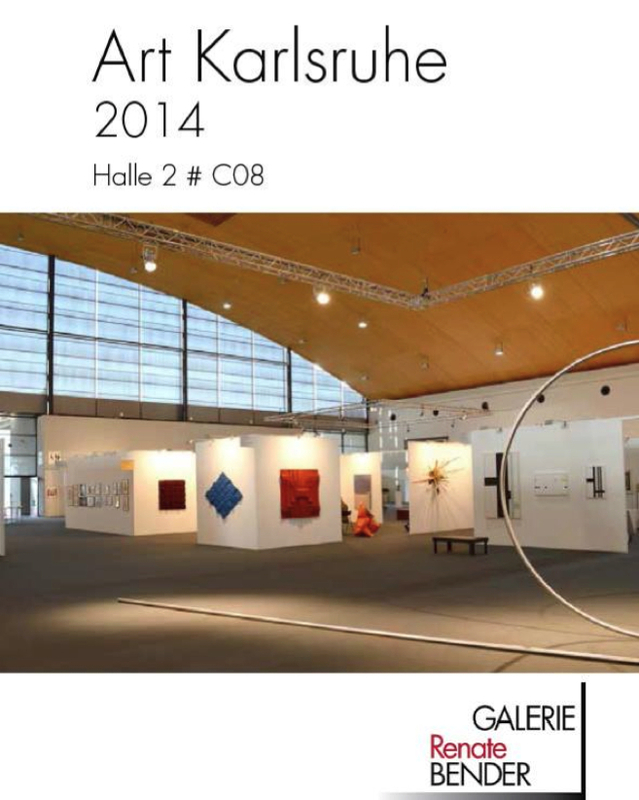 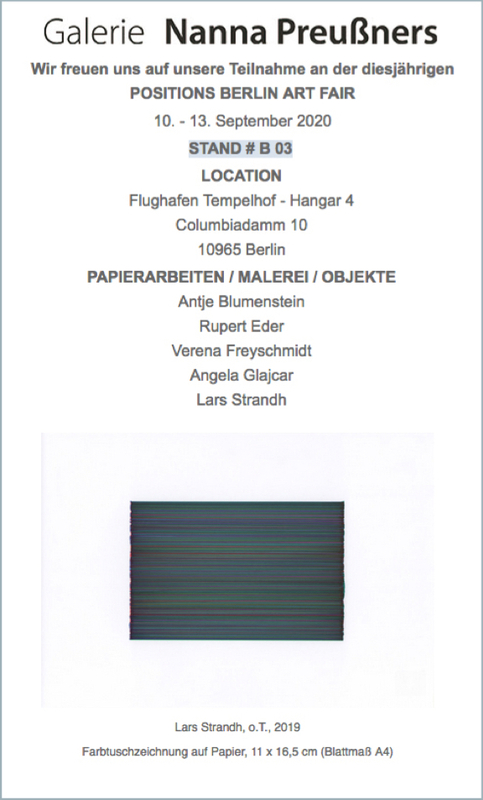 New catalogue available fram Galerie Renate Bender. 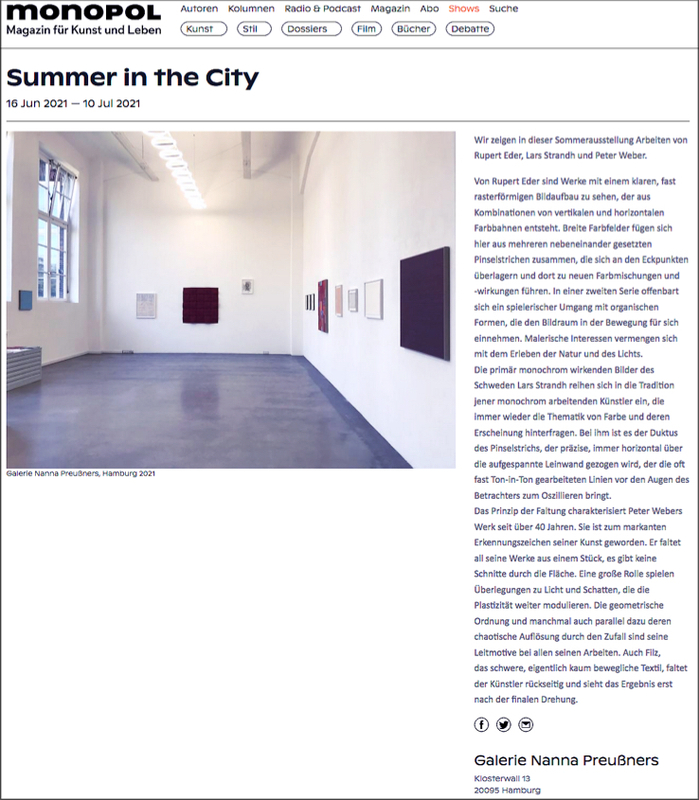 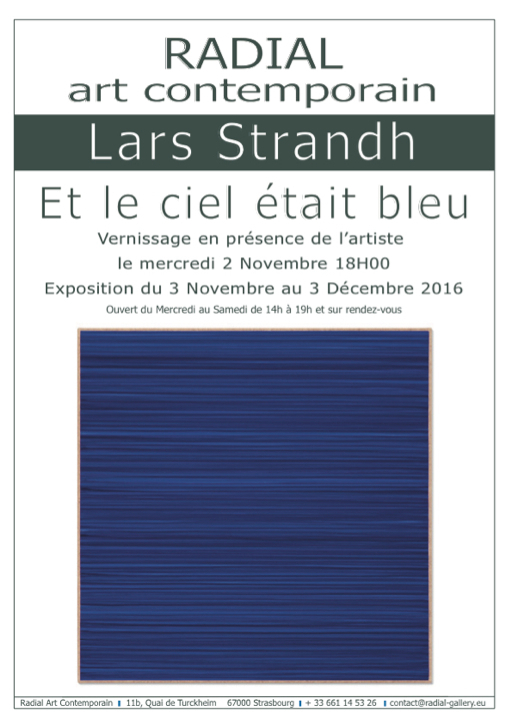 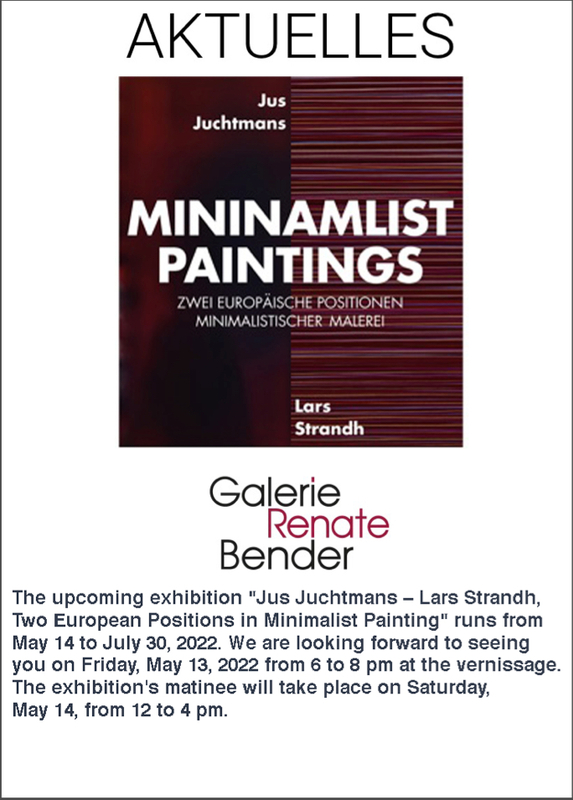 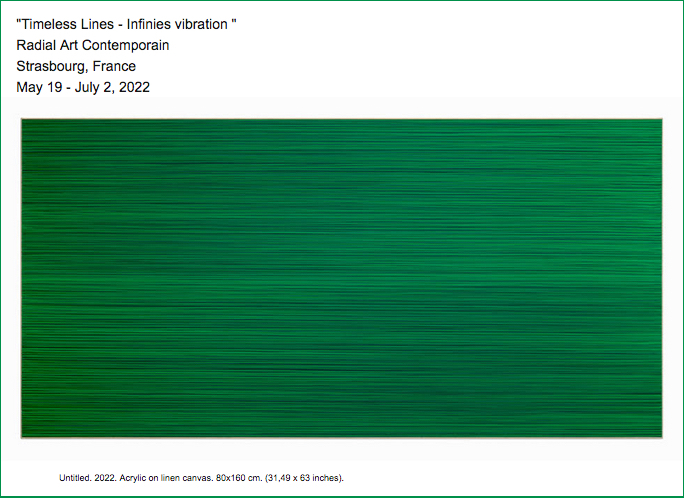 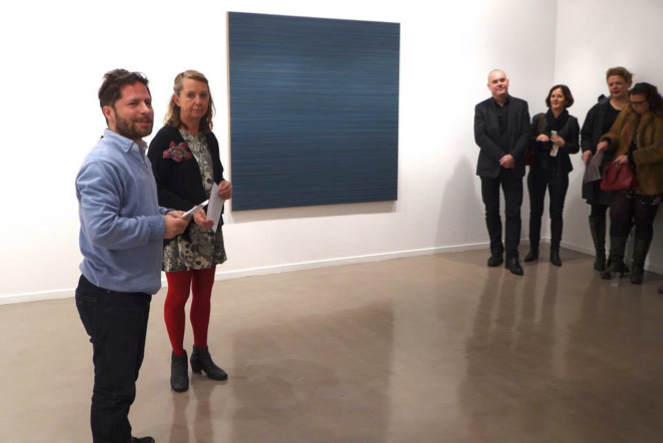 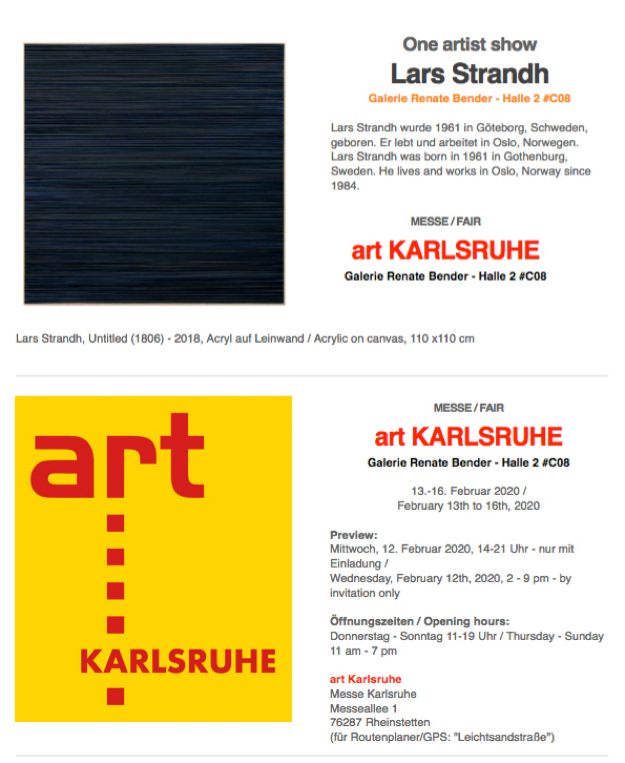 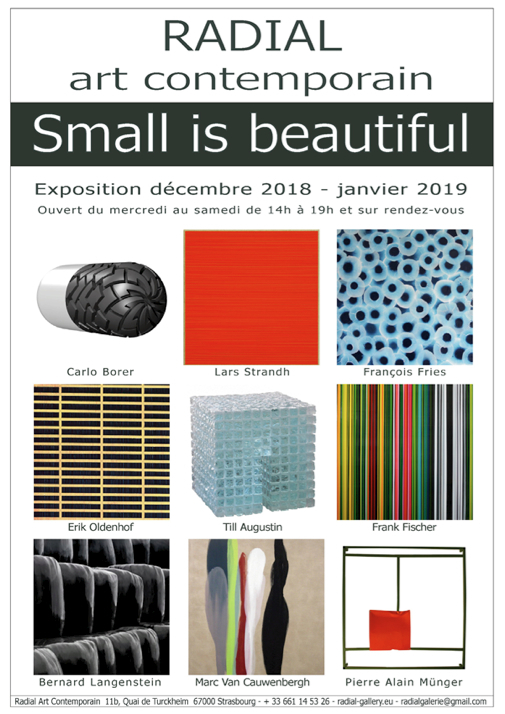 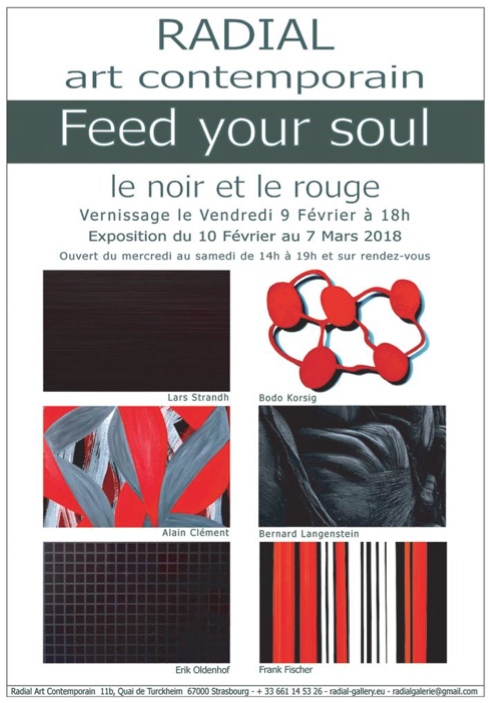 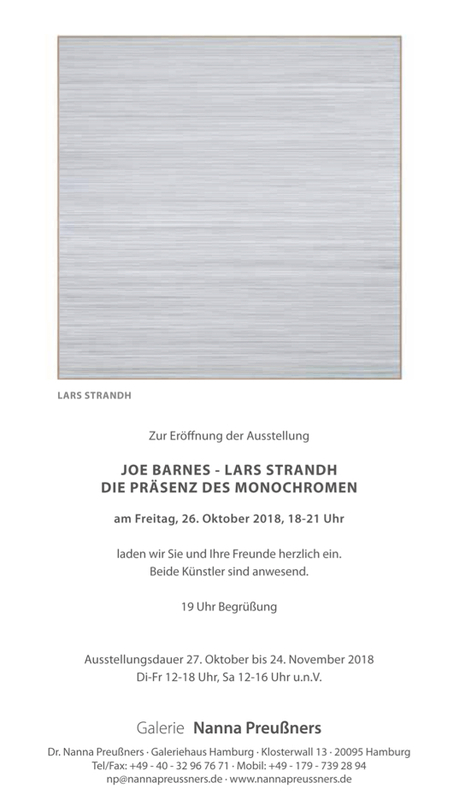 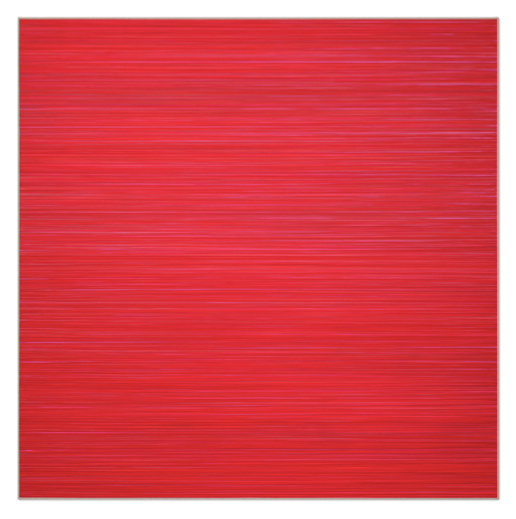 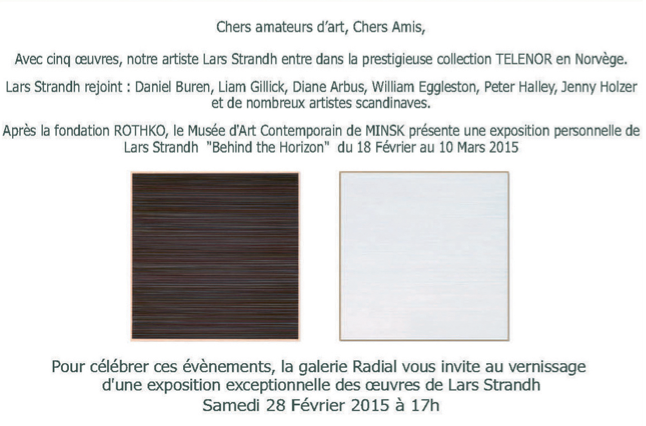 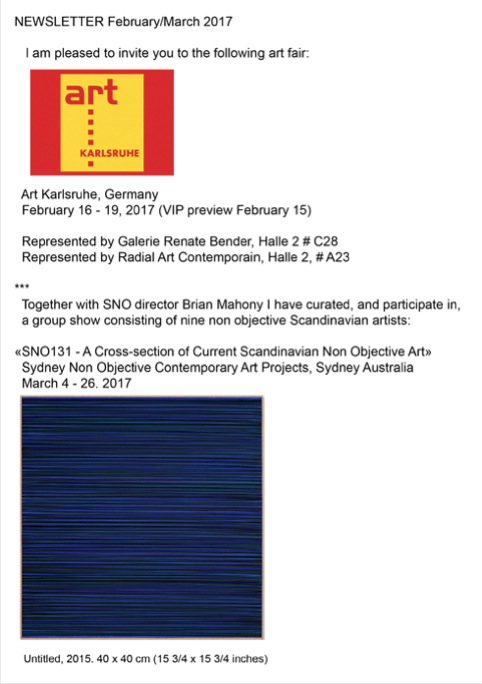 You are all welcome to this duo show together with works from Manfred Jäger at Galerie Renate Bender.